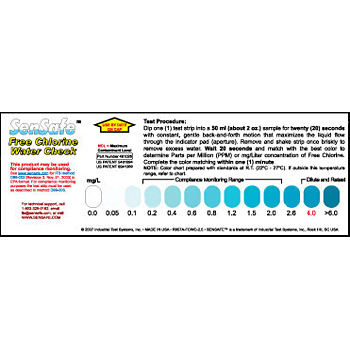 Free Chlorine Water Quality Test Kit, set of 50 tests. 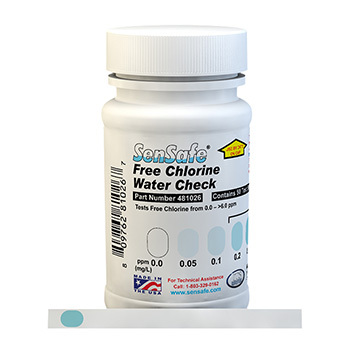 Fast and accurate test for rapid determination of Free Chlorine levels in water. 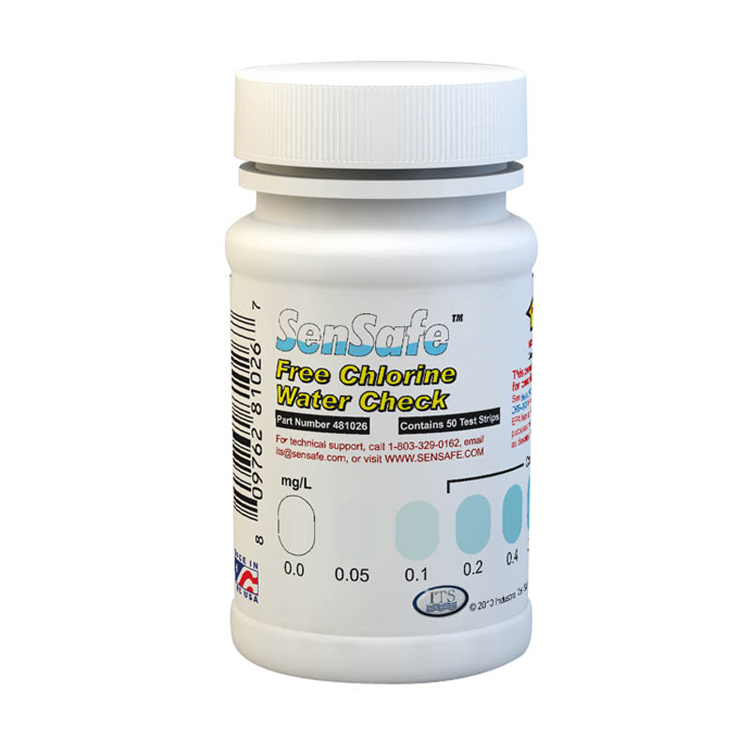 No monochloramine interference, detects down to 0.05 ppm and as high as 6 ppm (mg/L). No external chemicals are needed to perform the test, Free Chlorine Test is perfect to take directly in the kitchen or on the shop floor.